Brady Corporation announces acquisition of B.I.G. Business Sections...12 November 2003..Brady Corporation announces acquisition of B.I.G. the UK?s largest manufacturer of business cards and badges. The deal is intended to allow B.I.G. 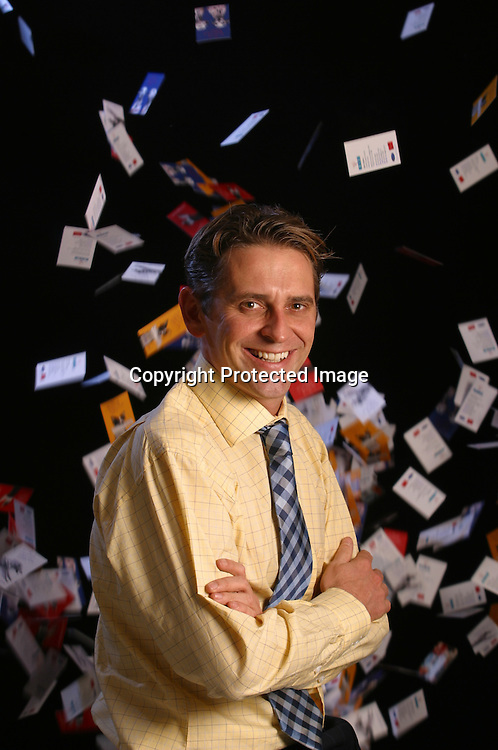 to expand and pursue their goal of becoming number one global provider of business cards and badges.......Photograph shows Graham Budinger, Commercial Director with some of B.I.G?s business card product.....Since 1996 B.I.G. has sold more than 50 million business cards and over 25 million ID badges.....For more information please contact Jim Hawker / Spreckley Partners Tel - 020 73889988 mobile- 07730 426 804....Photograph by Simon Brooke-Webb / sbw-photo. Tel ? 0208 8913199..